When I was a child/teenager growing up on the Eastern Shore of Maryland, snow happened a bit more frequently than it usually does now (except for the past couple of years when they’ve gotten slammed!). Schools would be closed for up to a week because we got so much, the road crews couldn’t keep up with it all, especially on all the back roads in the area. One year it snowed so much, my mother’s white car was literally impossible to see. She had parked it at the end of our long driveway, thinking she wouldn’t be able to get it out if we had a lot of snow. We did. And one of our neighbors had to dig the car out for her, but only after a couple of days when the roads were clear enough to drive on. My friends who still live there still talk about how one of our friend’s fathers hooked all of our sleds up to his tractor one evening and pulled us around the field for at least an hour, had us warm up by a roaring bonfire (complete with roasting marshmallows on wire coat hangers! ), and then his wife had us all inside for hot chocolate. I think most of us were sophomores in high school then, and of course, we were all invincible! I can’t remember how many of us there were, but it was a blast! Now…he’d probably be arrested for child endangerment…if our parents even let us go! Yes, those were the days….we all had sleds, and would go to a hill in town and sled down for hours. We got chilled to the bone, our clothes got soaked…but who cared! We threw snowballs at each other, and at some of the adults unlucky enough to be in our way. And no one got mad at us. We were young and having fun. 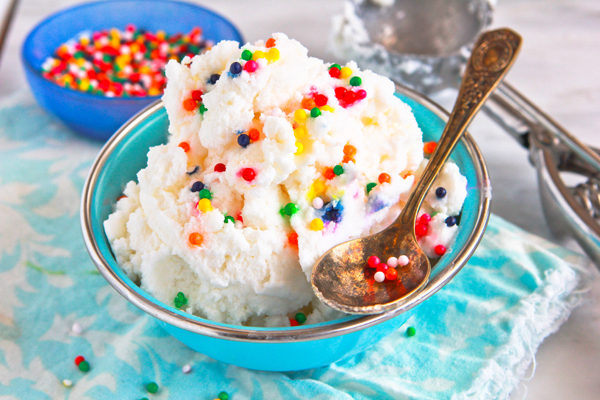 So in honor of the snowstorm, it’s only fair that this weekend’s recipe is snow cream. Which of course, you can only make when you have clean fresh snow. So those of you in Florida or California, you’re probably out of luck on this one! I haven’t been able to find any substitutions for snow! Mix together and add 8 cups of CLEAN snow. Cover, and re-freeze an hour or so til it’s the right consistency. 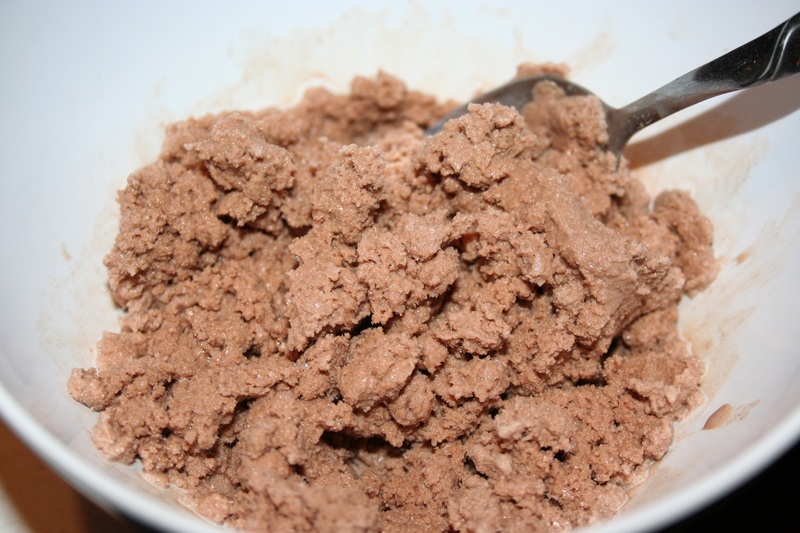 Mix together in microwave for 30 seconds; stir and repeat until smooth. LET COOL (or you’ll have caramel water!) I’d put it in the freezer and check it often til it’s chilled. Add 8 cups of CLEAN snow. And the best part, ¼ c amaretto. Resist temptation to try immediately; cover and freeze to desired consistency. 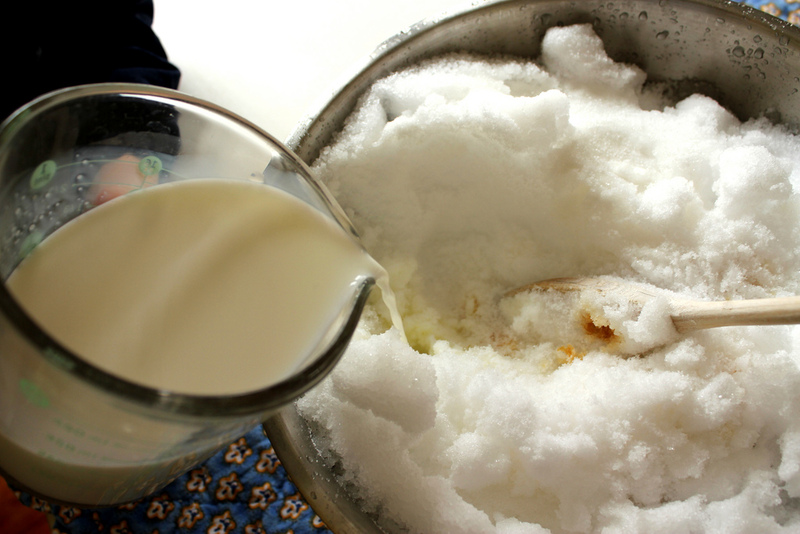 Combine above ingredients and add 8 cups of CLEAN snow. Take a taste if you must, then cover and freeze to desired consistency. 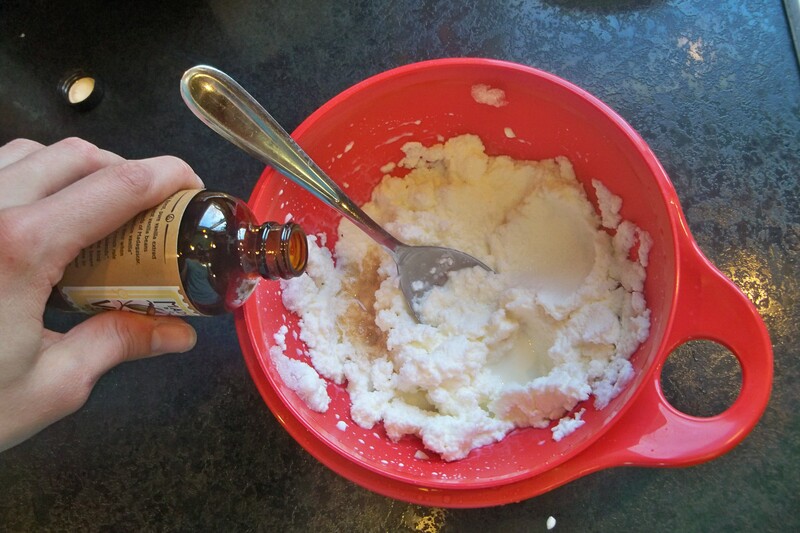 BRING ON THE SNOW AND LET’S MAKE SOME SNOW CREAM!